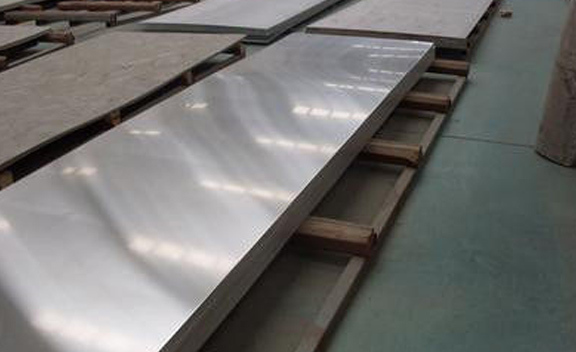 Alloy 20 Plates Supplier, Alloy 20 Sheets, B463 Corrosion Resistance Alloy 20 Plate Exporter, Hot Rolled Alloy 20 Plate Dealer. Marc Steel is a known supplier and manufacturer of Alloy 20 Plates,, which is a nickel–chromium–molybdenum stainless steel alloy developed for applications involving sulfuric acid. Alloy UNS N08020 Plates has excellent resistance to general corrosion, pitting, and crevice corrosion in chemicals containing chlorides and sulfuric, phosphoric, and nitric acids. Alloy DIN 2.4660 Plates is an iron-base, austenitic alloy with excellent corrosion resistance to a number of different media and proves to be useful in a number of applications such as flue-gas desulfurization, chemical processing, food processing and storage as well as pharmaceutical applications to name a few. Alloy 20 Sheets is a columbium stabilized material that combines excellent corrosion resistance with elevated mechanical properties and relatively easy fabrication. Alloy 20 Coils is also stabilized with Columbium to minimize carbide precipitation during welding. Restricted carbon plus columbium stabilization permits welded fabrications to be used in corrosive environments, normally without post-weld heat treatment. ALLOY 20 ASME SB 463 PLATES STOCKHOLDER, HIGH QUALITY ALLOY 20 PLATE STOCKIST, CORROSION RESISTANCE ALLOY 20 PLATE EXPORTER, UNS N08020 ALLOY SHEETS, HOT ROLLED ALLOY 20 PLATE EXPORTER IN INDIA. DIN 2.4660 ALLOY STRUCTURAL STEEL PLATE, ALLOY 20 PLATE DEALER, ALLOY 20 PLATE SUPPLIERS, 20 ALLOY HOT ROLLED PLATES DISTRIBUTORS, ASTM B463 ALLOY 20 COLD ROLLED SHEET MANUFACTURER & SUPPLIERS. Our Alloy 20 Sheets is a solution for stress corrosion cracking that can occur when stainless steel is introduced to chloride solutions. This Incoloy 20 Coils, which also includes copper and molybdenum, is popular in the production of gasoline, solvents, explosives, chemicals, pharmaceuticals and food and synthetic materials. ASTM A265 Carpenter 20 Plates are often used in Production of plastics and synthetic fibers, Chemical and petroleum processing equipment, Mixing tanks, Structural Steel, Process piping, and more. ASTM B366 Carpenter 20 Sheets has excellent general corrosion resistance to sulfuric acid, excellent resistance to chloride stress corrosion cracking, and excellent mechanical properties and fabricability. Buy Incoloy 20 Plates at reasonable price from us.